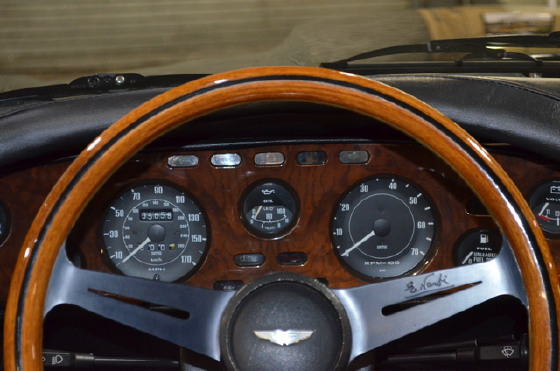 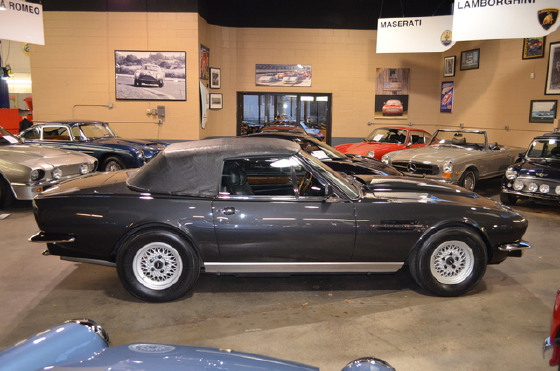 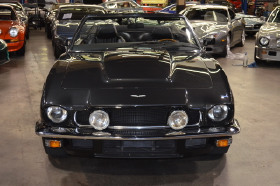 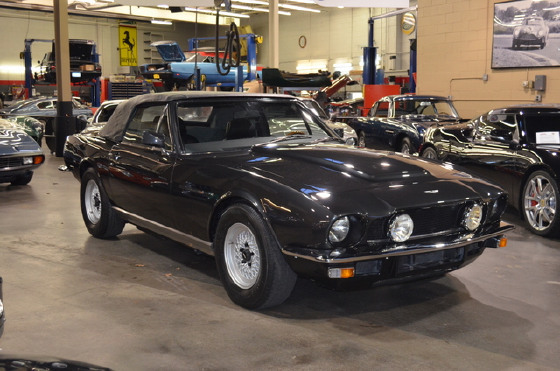 Im interested in 1985 Aston Martin V8 Vantage you have listed on Global Autosports for $239,500. I would like to know more about this vehicle. 1985 ASTON MARTIN V8 VOLANTE --Litchfield Black metallic with Black leather interior, Black Wilton Wool carpets and Black Everflex convertible top, 35,000 miles, Automatic transmission, Uprated stereo and speaker system with CD, European chrome bumpers, Vantage stainless steel sport exhaust, European airbox. This V8 Volante has enjoyed proper Aston ownership from new having always been owned and cared for by Aston collectors throughout its years and to date. 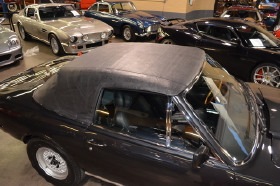 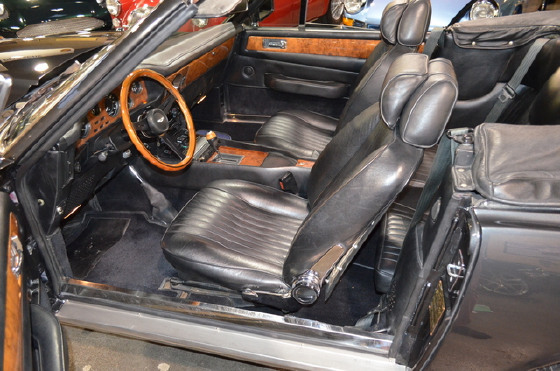 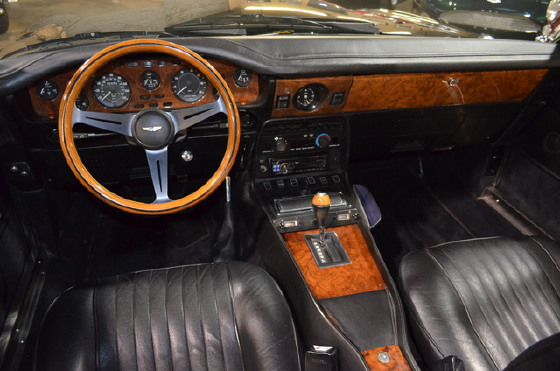 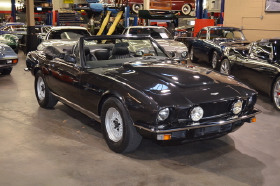 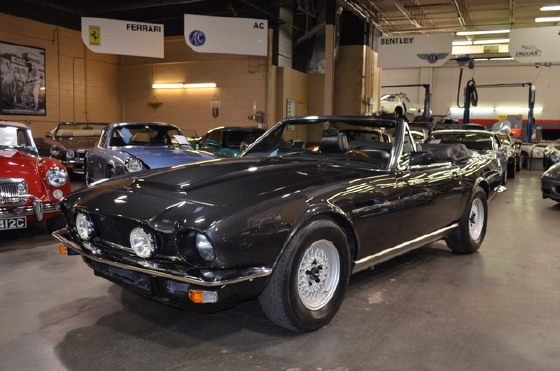 Completed at the Newport Pagnell works in December of 1984, this V8 Volante was sold new as a 1985 model year to its first registered owner by Greenwich Connecticut based Aston Martin dealer Miller Motorcars. 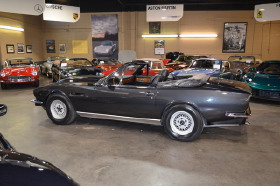 It was serviced by Miller Motorcars as evidenced by is records and history file through 2004 and when traded to Autosport Designs, toward another automobile in our inventory. 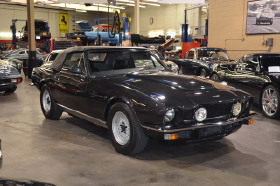 Sold almost immediately to another Aston Martin enthusiast collector and member of the AMOC in Virginia, prior to delivery, it was fitted with a European stainless steel V8 Vantage exhaust system and received a major service to be ready for immediate use. 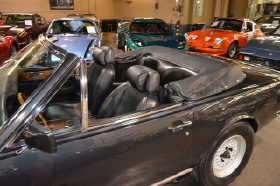 While in this ownership, it was enjoyed for seasonal use and was well known at AMOC events, classic car circles and prominently displayed at various car club events. This V8 Volante was reacquired by Autosport Designs in superb, well-serviced condition with only 35,000 original miles from new. 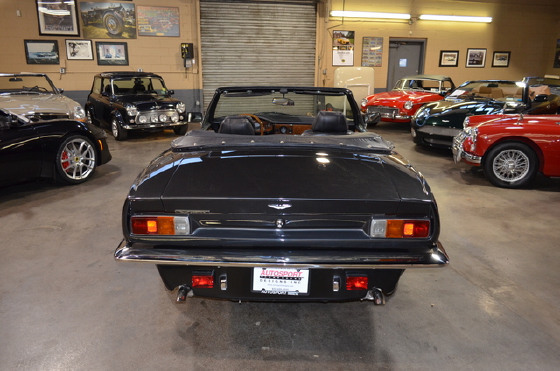 The original lacquer paint starting to craze in areas, it was decided to perform a bare metal repaint to bring this V8 Volante to its currently superb and better than new cosmetic condition. The USA Black MPH bumpers were removed at this time and the bodywork was prepared to accept European chrome bumpers. 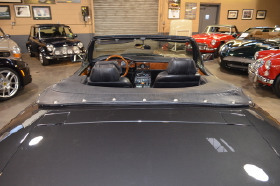 The work has been performed to exacting specifications and as per original Newport Pagnell build with all factory parts, down to the last grommet and screw. 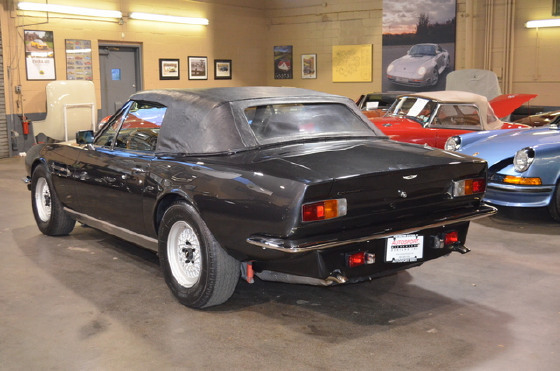 Where some will cut corners to merely bolt on chrome bumpers, this V8 Volante is exactly as the factory intended and as they were manufactured/delivered new. At this time, complete service maintenance, brake and suspension service were also performed. This late production V8 Volante is one of the last carbureted cars prior to the introduction of the Weber-Marelli fuel injection. 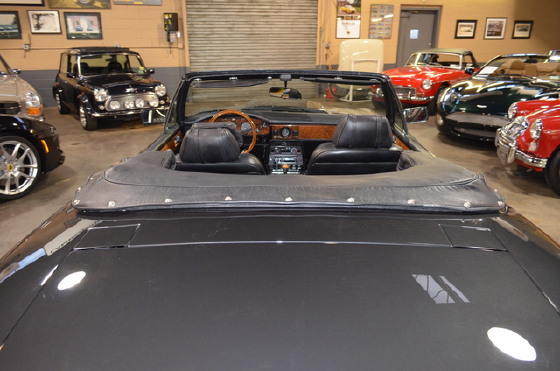 Most recently, this V8 Volante had its intake system-airbox converted to European specification. 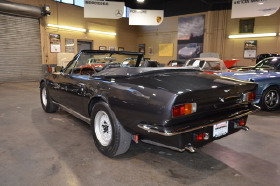 With the restrictive USA intake system removed and all European factory parts and linkage installed, this V8 Volante is now indistinguishable from original factory European specification. 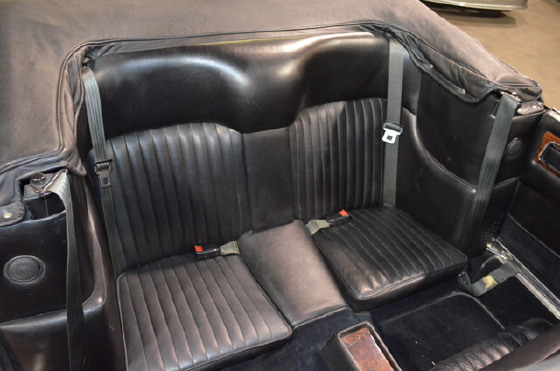 It is complete with original owner’s handbook, factory tools, jack, records and date-stamped maintenance booklet. 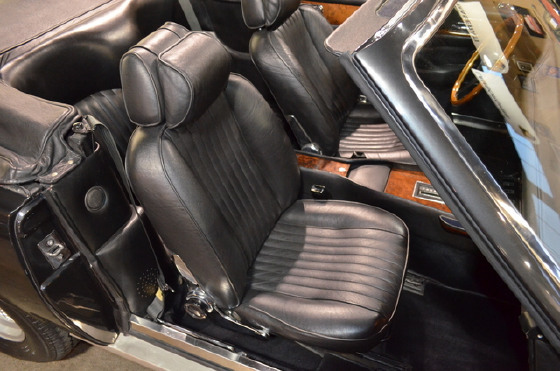 It is ready for immediate use and enjoyment and has no disappointments.